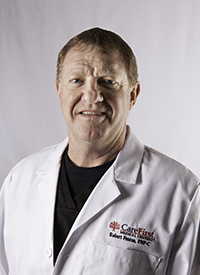 Robert is a Board Certified Family Nurse Practitioner with 11 years experience in the medical field. He spent 9 years as a Registered Nurse with experience in the post medical surgical area and 7 years specifically working in the recovery room and acute pain management. In 2015 he obtained his Masters Degree from the University of Texas in Tyler. He is the father of six children with his wife of 26 years and has is a life long resident of East Texas with the last 28 years being in Lindale. He is actively involved with his family and local church. He believes that each patient should be treated the same as he would want himself or his family to be treated. My faith was and is the motivating factor for my involvement in healthcare. "People need healthcare they can trust and depend on in their time of need and difficulty. Robert is glad to be a part of the Care First team and am looking forward to serving our patients, friends and neighbors."